At some point in one's life and career, it seems that networking events have earned a bit of a shabby image. They seem to conjure images of awkward handshakes, bad wine and, if you're lucky, a stale cheese plate. And where's the appeal of that? The truth is, not all events fit that stereotype. Some draw people from around the globe and provide content that makes the journey worthwhile. They're tremendously informative. They're wildly entertaining. And they're listed below. The thing is, we've been to enough -- to put it kindly -- less-than-stellar events to know what a remarkable one looks like. And to help you avoid the trouble of canvassing the web to find the best ones, we compiled this list for you. Whether you're a content marketer looking to enhance what you're creating, or want to learn SEO on a borderline-obsessive level, there's an event out there for you. 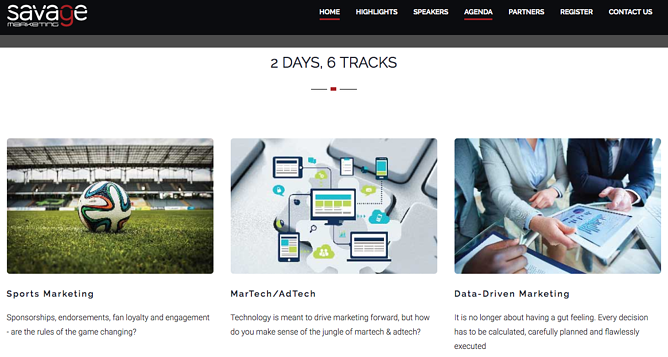 By no means do we suggest you attend all 25 of the events listed below -- rather, we recommend taking inventory of what sort of engagements are available to help you become a better marketer, depending on your specialty or where you'd like to improve. So look no further -- we've got you covered. 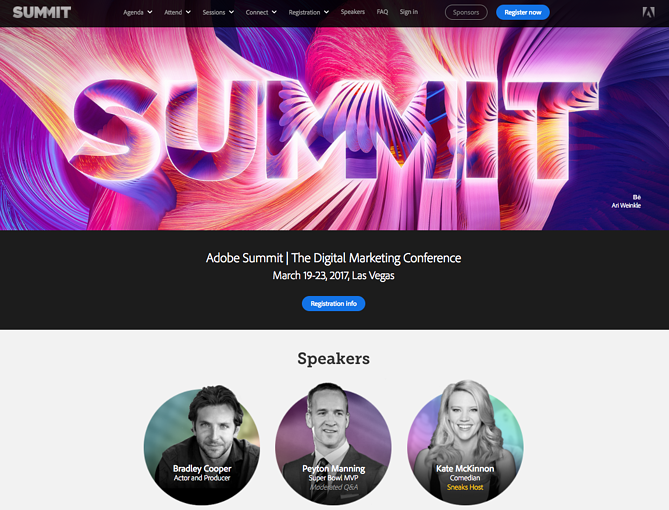 Adobe Summit boasts being one of the largest digital marketing conferences in the U.S. It largely centers around Adobe's technology, and how marketers can make the most of its Marketing Cloud platform. But it's more than just a multi-day advertisement for Adobe's software. Rather, it's a collection of keynotes and breakout sessions that help marketers keep their projects up-to-date with the constantly and rapidly evolving digital landscape. While we can't corroborate Social Media Marketing World's claims of being the "world's largest social media marketing conference" off-hand, the fact that it's hosted by the online publication Social Media Examiner makes us inclined to agree. But despite its name and description, the event is hardly one-size-fits-all. 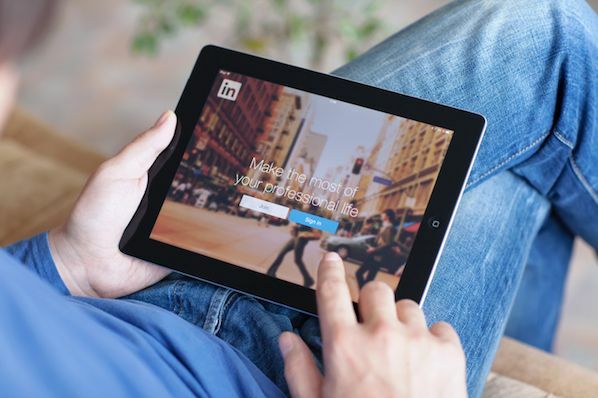 Rather, the agenda seems to contain a little bit of something for everyone, whether you're looking to polish your knowledge of social media basics, or an expert looking to learn about the latest and most advanced best practices in this realm. Digiday hosts quite a few marketing-centric events throughout the year, which is why you'll see its name quite a bit throughout this list. Each event, however, focuses on a specific marketing practice and caters its content according to that audience. 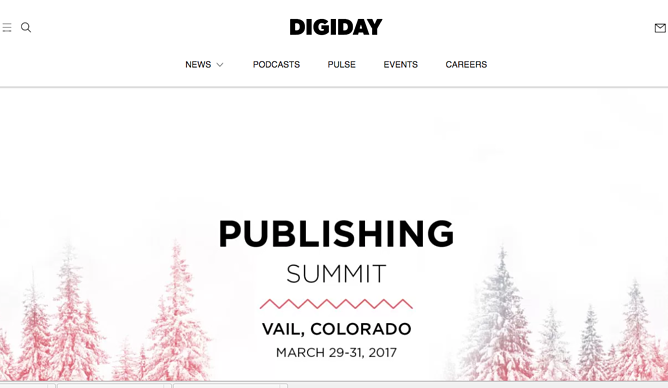 For its Publishing Summit, Digiday places a large amount of focus on digital distribution -- that is, online publishing in a variety of formats and outlets. The event description summarizes it nicely: Platforms "like Snapchat have become media outlets of their own," and marketers need to figure out how to leverage them accordingly. There's digital marketing -- and then, there's mobile digital marketing. That's the focus of the Next10x event, hosted by digital marketing firm Stone Temple Consulting. 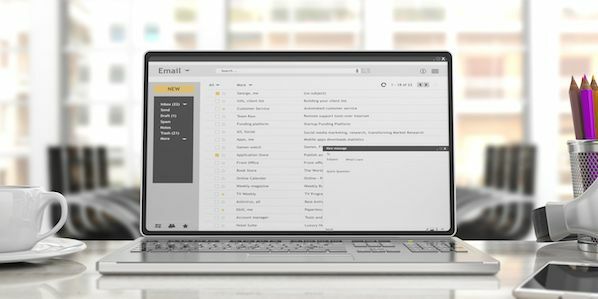 With mobile usage now surpassing that of desktop, learning how to best use that medium for marketing is no longer just nice-to-have. Mobile marketing is necessary, especially for SEO -- just look at this recent announcement from Google about how a poor mobile user experience will negatively impact rankings. For that reason, it makes sense to have an expert from Google at an event like this one -- that could be why Gary Illyes, Google's webmaster trends analyst, is one of the featured speakers. Think you might be a little behind the curve on mobile marketing -- or think you could be doing a little better. There may have once been a time -- a simpler time -- when content marketing was such a new concept that it seemed pretty singularly-faceted. Create good content and the search traffic will come. But today, things look a lot different. Good content marketing can require a multi-pronged approach, and even has different sub-categories. There's the creation of good content -- be that words, audio, or visual. Then, there's the distribution. And what's more, there's content created specifically for or on a given platform. Overwhelmed? Don't worry. That's why these events exist, especially the Content Marketing Conference. In fact, its hosts have so much faith in the expertise of the event's speakers and workshop leaders, they're assigned the label of "superheroes" -- they're here to save the day for many smart marketers who simply aren't sure how to manage the many pieces of content marketing. Like comics -- this event's superhero theme seems to permeate almost every element of it. We're not bashful about our love of creating good experiences around here. We love the idea of marketers creating a good story -- not just through their digital content, but through real-life opportunities for the public to interact and engage with their specific brands. And while we've written about the way that can be accomplished, it can help to have it explained and carried out in front of you. That's why the Experiential Marketing Summit is so helpful. It not only celebrates remarkable work done within the category, but helps marketers learn how to do it themselves. One of our favorite resources for the SEO-specific news outlets is the Search Engine Journal, which provides the "latest search news, the best guides and how-tos for the SEO and marketer community." So when a publication like this one hosts an event dedicated entirely to what it knows best, chances are the attendees are going to come away with a great deal of knowledge. The headline for the event is "Actionable Marketing Education." That's our favorite kind -- the education that gives people something tangible to implement after walking away from a teachable moment. And while SEJ hasn't yet announced its 2017 speaker lineup (as of the publication of this post), some of the experts from previous years, who you can see in the video above, leave us confident about this year's roster. By now, there should be zero doubt among marketers of the importance of video. After all, 4X as many customers would rather watch a video about a product than read about it, and 43% of people want to see more content in this format from marketers. So if you haven't figured out how to incorporate video into your overall content strategy -- get on it. We get it, though. As a marketer, you've got a lot to do, and sometimes, something like video might not seem like it should take priority. But if those statistics have convinced you to get the ball rolling and you're not sure where to begin, it might be a good idea to check out an event dedicated to this type of marketing -- like Digiday's Video Anywhere Summit, which takes many of those most perplexing video-related questions faced by marketers and addresses them head-on with keynotes and workshops. Are good at making video content, but aren't sure how to monetize it. We don't always get "event envy" around here, but if we did, it would probably be the result of C2: The self-described "three-day immersive event that will transform the way you do business." Have you ever wondered what the most absurd yet effective brainstorming environment would be for you? We haven't either. But the minds behind C2 have, which is why each year they have a new "experimental brainstorming" setting, to help attendees become their most creative in the most unusual of surroundings, like in a row of chairs suspended 18 feet off the ground. Even we can't make that up. And that example is highly illustrative of C2's unconventional nature, which is what we love most about it. It's a great opportunity to learn -- after all the agenda includes master classes and workshops -- but it's also been known to include an enormous playground-like setting with a ferris wheel and other attractions for attendees to experience. Like an event with a theme -- C2 has a different one each year, and the 2017 theme is "ecosystems"
Here's the thing about marketing: As we mentioned before, there's no one single type. There's marketing for different industries, business sizes, formats, and media. There are so many different levels of marketing expertise, how could you possibly expect to fit them all into one event? It's an effort that some people might even call -- wait for it -- "savage." That's why the name of this event is so fitting. It examines the marketing best practices for a number of different industries -- like sports -- and concentrations, like SEO, data-driven, and customer experience. They're the important pieces of marketing that, when you've got an overflowing plate, can be easy to overlook. When visitors to the Unbounce website click to learn more about the company, they're greeted with quite the headline text: "Unbounce Empowers You to Create Better Marketing Experiences." And around here, we're big on experiences, especially when it comes to providing a good ones for your customers. Sure, it's a landing page and conversion platform -- but that emphasis on experience translates into a powerful event for marketers. Enter the Unbounce Call To Action Conference. It prides itself on being anything but "just another marketing event" -- instead, it focuses on truly practical, yet forward-thinking best practices that you can incorporate into your own strategies almost immediately. SEO, like many other pieces of marketing, is one of those things that can seem really tricky. Just look at how many changes have been made to Google's algorithm since 2000. Now, have another look -- and note who compiled that timeline. Why, it's the good people of Moz: The providers of endless SEO learning resources. So when this brand hosts a three-day event dedicated to SEO, we think everyone stands to benefit from it. Here at HubSpot, INBOUND season practically has us singing, "It's the most wonderful time of the year." An entire multi-day event dedicated to inbound marketing? Sign us up. Last year, the event boasted over 19,000 attendees, and for good reason -- it's not just a networking event. Of course, there are plenty of opportunities to connect with like-minded marketing professionals, but INBOUND offers a plethora of learning opportunities from interviews with some of notable, knowledgeable figures, like Alec Baldwin. As many marketing events as there are, it seems like those dedicated to B2B are few and far between. But it doesn't have to be that way, and MarketingProfs is doing its part to make sure that's no longer the case with its B2B Marketing Forum. "This is your event," the homepage reads. 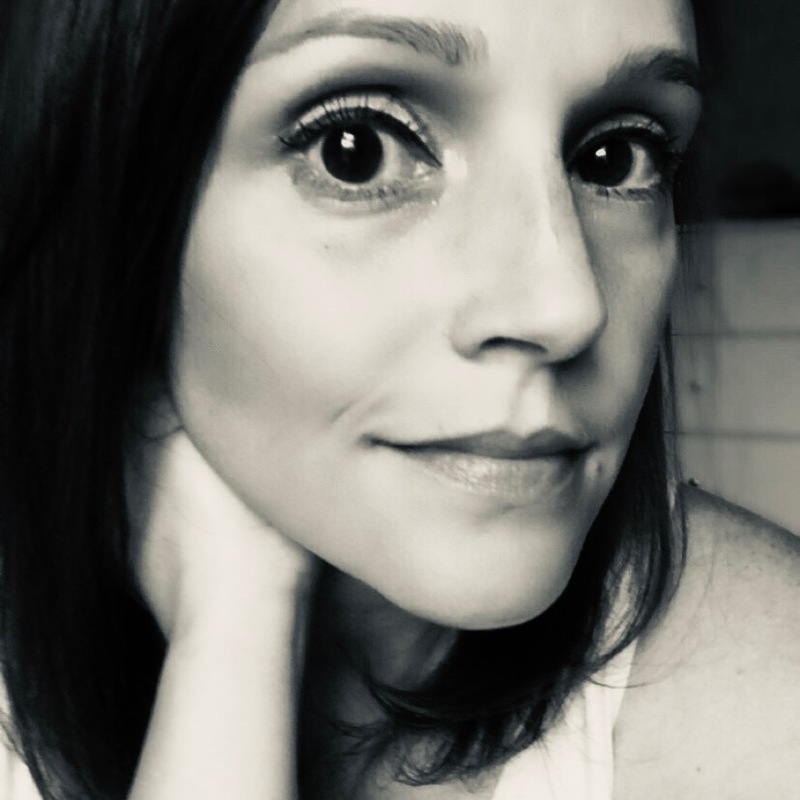 And it's true -- how many times have you come across a marketing resource with a plethora of consumer-centric learnings and takeaways only to think, "But what about me?" MarketingProfs has heard you, and has built a rather impressive event presence to address your needs. Growth: It's one of the most important things that, as a marketer, you need to make sure your brand experiences. That's why we think of HubSpot as a growth stack -- it's a collection of Marketing, Sales, and CRM software that all combine to help you, above all else, grow. So when we heard about an entire event dedicated to growth marketing, naturally, our interest was piqued. And while no date has been set for the 2017 edition of this conference, there is an option to "reserve your seat" for it on the homepage, suggesting that it will most likely take place late in the year. No offense to the cheese plate, but most of these event features are much more our style. Of course, we won't dismiss free snacks and the ability to exchange a handshake, but now you see -- it doesn't have to be stuffy or awkward. Go forth, and network. We hope to see you there. Which marketing networking events will you attend this year? Let us know in the comments.